While I was away at my conference two weeks ago, I realized that my stressed-out traveling brain just isn't great for appreciating certain types of books. (Ahem.) Too many things going on? Nope, too relevant to my present state. Too philosophical? Nah, no attention span for that, and it might be all I need to pass out on the train. Too sad/serious/otherwise distressing? Once again, really not what I need while I'm fumbling with my luggage and wishing Google Maps would get its act together already. 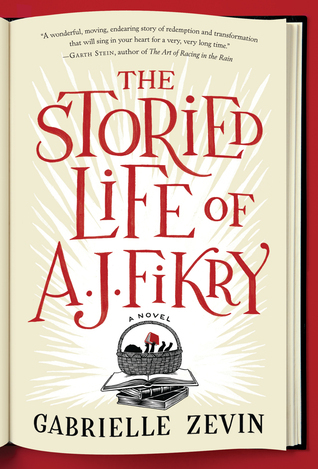 Enter The Storied Life of A.J. Fikry. This unassuming little book had been sitting on my Kindle since I got it over the holidays, but I'd never cracked it open (or, you know, clicked on it), despite my love for curmudgeonly characters and book-themed books. (For a great list of those, check out M's at Backlist Books.) A.J. Fikry is super cranky and owns a bookstore. Why did I wait so long to read this one?! 1. It's short, but not too short. The whole story clocks in at 260 pages and took me just two days to read while I was on my business trip. I think anything too far over the 300-page threshold would require just a smidge more attention than I have to offer during travels, and it might bleed over into reading time once I'm back home. With something A.J. Fikry-length, I was able to enjoy myself for a couple of days and feel the accomplishment of finishing a whole book. 3. It wasn't full of big ideas. At its core, this is the story of a prickly man, beaten down by the world, who allows the twists and turns of life to melt his heart. Not exactly original. In fact, if I'd been reading it during a quieter moment in my life, I might have dismissed its overall simplicity and its less likely moments and enjoyed it far less. Combined with the chaos of my trip, however, this story was just the familiar comfort I wanted to bask in at the end of a stressful day or the middle of a long train ride. Overall, I highly recommend this book for anyone who enjoys romance, clever literary references, or needs a quick, easy read when life becomes just a little too hectic. Where'd You Go, Bernadette—I read this one over the winter holidays and loved it for a lot of the reasons I enjoyed A.J. Fikry. Check out my review here! As a bonus, Trish of Love, Laughter and Touch of Insanity recently listened to this as an audiobook and absolutely loved it. Perfect for if your travels include some driving! A Man Called Ove—I haven't read this one myself, but Amanda over at Gun in Act One really enjoyed it. It's possible I'm just including this one here to fit the curmudgeon theme, but from Amanda's description, it sounds like this would be another funny, charming story to lose yourself in when real life gets crazy. 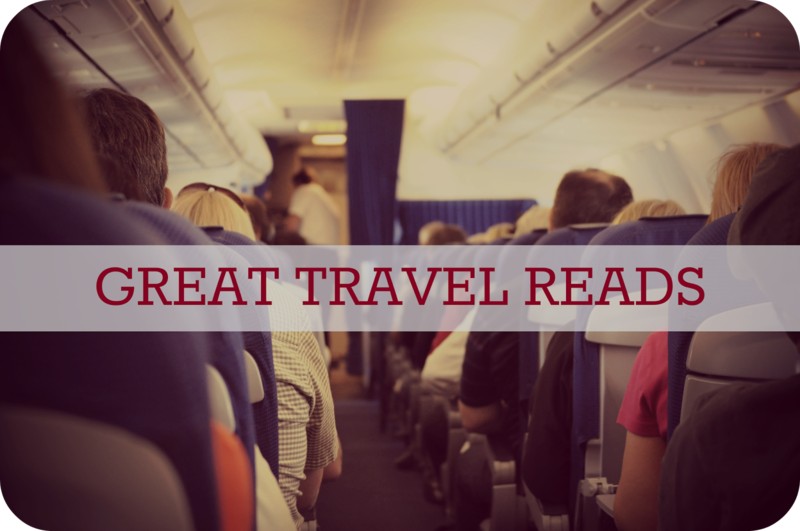 What do you like to read when you're traveling? it just goes to show you that sometimes, the timing has to be just right for a book to be enjoyed. I'm glad it turned out to be just perfect for you at this particular time. I still haven't picked this up, despite the raves, mostly because I've been nervous that it would be too sweet for me. But I think you're right that there's a perfect time/place for most books like this and I think there's definitely a point where I'll get to it. I completely agree, and luckily had a similar experience with this book recently. Totally right book, right time situation... isn't it nice when things work out like that! Really great review. It sounds like I need to read this book before the end of the semester. I'm thinking right around Finals time when I'm going insane. I've had it on my TBR shelves since last year. A.J. Fikry has been in my TBR stacks for way too long! Now that I've read your post, I think I'll pull it out this month - I have a heavier workload plus I'm doing a few readalongs on heavier books, so I know I could use the lightness and the fun. I want to read this one so much. Sometimes I need something short, funny and easy! First of all, thank you SO much for linking to me! (I have yet to figure out a way to track link-backs so most of the time I don't know about them, but am always super excited when I find one!) Second of all, I loved Fikry. I know there was some criticism that it glossed over details (like how adoption works etc. ), but while I agree, I found that it didn't bother me. The tone of the book was so whimsical that it would have lost something with too much reality (does that even make sense? I think I have a fever). I think it would be an excellent read for traveling. I tend towards amusing or light books - particularly books set in beautiful places - when I'm traveling. If I'm totally honest, though, I have a tendency to re-read Harry Potter when I'm traveling. I know the world. I know the characters. I know that I am going to love it. It's a bit of a cheat, sure, but it works for me!! Yeah, pick a moment when you've just got way too much going on. You'll sink into it like a warm bubble bath. Under any other circumstances, I think it would have been way too saccharine. Yes, do it! Be warned that there are some sad moments, but they don't detract from the overall whimsy and sweetness of the story. Oh yes, it would be perfect for then. Very short, too, so it won't distract TOO much from studying. It might be a right place kind of read. Are you a crier? Ove made me cry- that was something I had to be ready for! I completely agree - this is a PERFECT travel book, for the reasons you stated. I just read it while I was in South America and really enjoyed it. It's so nice to have a very engaging, light page-turner to read while on the road. Yay! I'm glad you enjoyed it on your vacation. It's such a welcome reprieve from the (sometimes good, sometimes bad) chaos of travel!